AutoCanada — with deep roots in eight provinces — is continuing to bolster its ties with the United States after having acquired dealerships in Chicago as well as other two other markets in Illinois this spring. According to a news release distributed this week, AutoCanada announced several changes to the composition of its top management team and its board of directors, including the addition of a former high-level executive previously with the largest dealer group in the U.S.
As previously announced, the company reiterated that its special committee of the board of directors, appointed in June, has been conducting a strategic review to explore a range of alternatives to enhance shareholder value, including changes to the composition of the executive management team and the board. • Michael Rawluk, the president of the company, has been appointed to the board of directors of the AutoCanada. Since being appointed as president on July 3, Rawluk has undertaken a comprehensive review of store operations and dealer services and has developed a go-forward plan under the supervision of the special committee with the goal of enabling the company to achieve operating margins comparable to the best of the public auto dealers in the United States. Rawluk was previously the chief operating officer of the Birchwood Automotive Group’s 22 dealerships in Winnipeg, where he began his automotive career more than 15 years ago. • William “Bill” Berman has been appointed as the president for the United States. Berman was previously the president and chief operating officer of AutoNation where he had more than 20 years of experience establishing a solid track record of leadership and operational excellence. • Stephen Green and Elias Olmeta have been appointed to the board of directors. Green previously served as executive vice president, legal and corporate secretary of IHS (now IHS Markit), a global information provider. Olmeta is the executive vice president and chief financial officer of Mitchell International, a provider of software to the automotive industry. As previously announced, Gordon Barefoot has retired from the board following the quarterly meeting of the Board. • Steven Landry has stepped down as chief executive officer effective Thursday and has been appointed as an adviser to AutoCanada, focused on OEM relationships and dealership acquisitions. Christopher Burrows has resigned from his position as chief financial officer effective Friday and will remain as an adviser for three months to affect an orderly transition. • Paul Antony, the chairman of the board, will assume the role of executive chairman. Antony has stepped down as a member of the governance and compensation committee, Olmeta has joined the audit committee, Green has joined the governance and compensation committee, and Maryann Keller has been appointed as the lead independent director. “I would like to thank Steven and Chris for their dedicated service to AutoCanada. 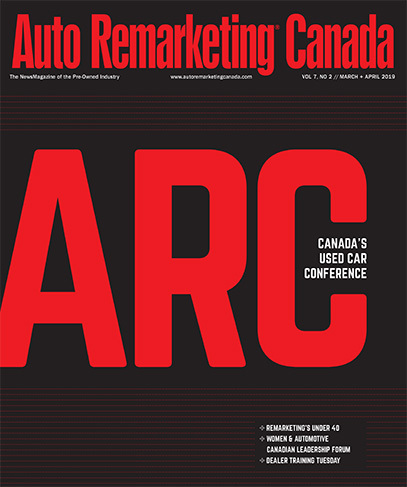 They have been instrumental in helping AutoCanada evolve from a founder-owned and operated company largely concentrated in Western Canada, into a national auto retailer,” Antony said. Rawluk shared his assessment of AutoCanada’s current position, as well. “I am confident that we have the right team in place to enhance value for shareholders, by delivering long-term profitable growth centered on operational excellence, while selectively acquiring high quality dealerships that fit our criteria,” Rawluk said. “Since joining the company last month, I have been highly impressed by the AutoCanada team. The additions announced today will solidify our team that will lead the next phase for the company,” he went on to say.